Schools are raising concerns about online safety for children with particular reference to the new location and map features that Snapchat have introduced. Many smartphone apps utilise location pinpointing as an everyday part of their service. 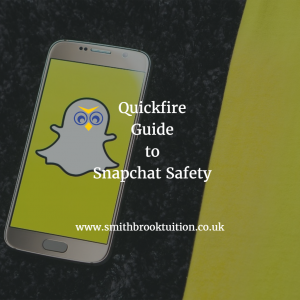 Snapchat raises particular concern for parents due to the immediate nature in which children are revealing their location online. The app could be used to track a person’s location in real-time. It is important for parents to keep their children fully informed of how to keep safe online and realise that this service is opt-in. The information broadcast is only available to people on their user friend list but many allow access to people they don’t actually know. Not only does it provide real-time data of where a child may be, it can also be used to build up a picture of a user’s home, school and regular hangout spots. How do you keep your child safe on Snapchat? We’ve curated everything you need know about how to use Snapchat safely. While technology can be a great tool especially for communication and the transfer of information, it is important to remember that any problems including safety or cyber bullying need to be addressed. What is Snapchat All About? Remember, there is always the simple solution to stop using a smartphone, reducing the risk associated with exposure to social media and the wider web. Is Your Child Learning The Right Computer Skills?